Kabul. Afghanistan. 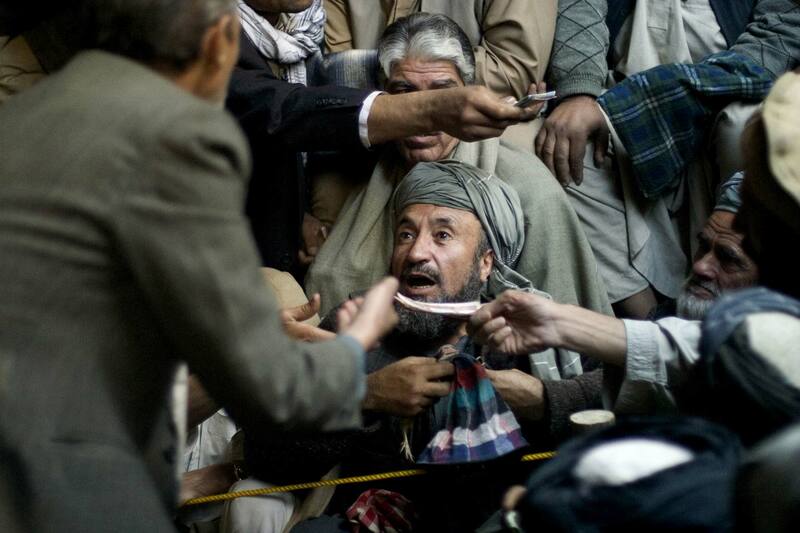 2004 A gambler placing a bet from the crowd at a Bodahna bird fight in the Old City in Kabul.